This is a product that I’m really excited to be able to review and share! 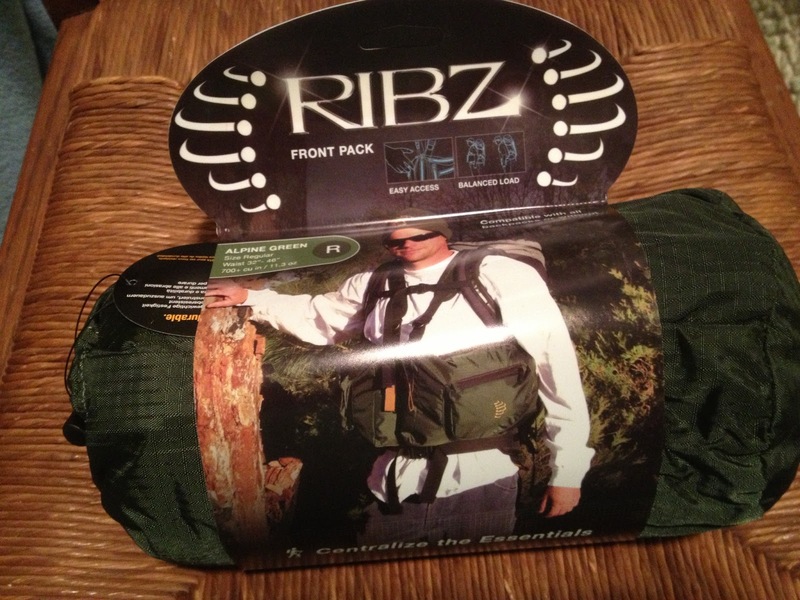 This is the RIBZ Front Pack. If you haven’t seen a RIBZ Front Pack before up close, let me show you what you’re missing out on. The RIBZ Front Pack is a uniquely designed pack that centralizes your gear across your midsection, making everything easily accessible because it’s strapped in front of you. This pack is incredibly versatile because it can be worn with or without a pack on your back, as well as in a variety of situations. Day hike, long backpacking trip, hunting in a tree stand, or fishing on the river, the RIBZ Front Pack makes your adventures easier and more comfortable. At first glance, you might think that the RIBZ Front Pack looks cumbersome and inhibiting. I’m here to tell you that it’s the exact opposite! I couldn’t believe how comfortable it was to wear and how well it worked with a full-sized pack on my back. The RIBZ Front Pack has several adjustable straps with 4 pull tabs that allow you to position it in just the right spot as well as fit any body size and type. The pack can be positioned over your rib cage to allow for the waist strap of your backpack to sit comfortably in its traditional location. The straps are thin with adjustable comfort pads for your shoulders that don’t conflict with backpack straps. Having the RIBZ Pack straps cross over themselves behind your back also evens out the weight so that you’ll enjoy a comfortable trip with or without a backpack on. Comfortable fit and looks great! This leads me to the biggest and most pleasant surprise about the RIBZ Front Pack: BALANCE! I can’t even begin to describe how much better I felt with the RIBZ Front Pack on while I hiked. 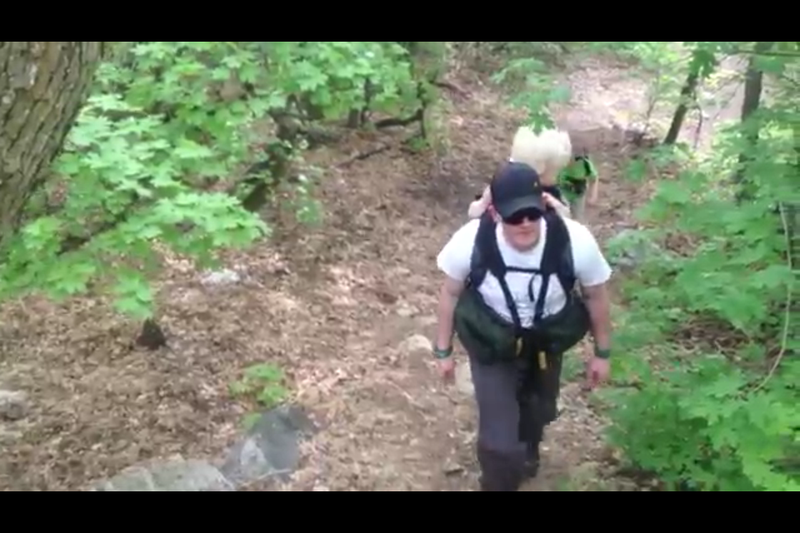 I walked more upright instead of feeling hunched over or like my pack was pulling me backwards. Even after a long hike, I felt great! I had very little soreness and my back and shoulders felt so much better than they normally would have. 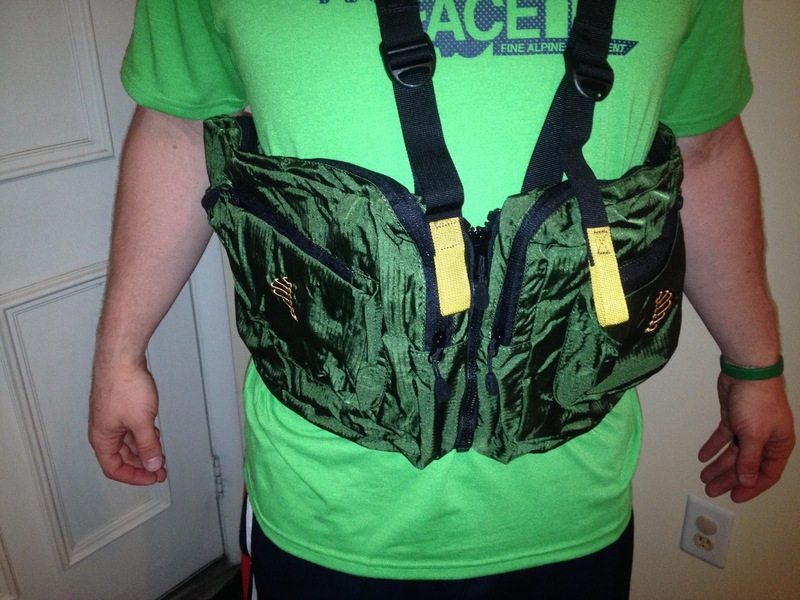 You can also wear the pack loosely or tight against your body depending on your situation and body motion. Either way, it just feels BALANCED. My wife also loved the feeling of carrying the weight in front of her. She tends to get a lot of back pain, even with a light day pack on her back. After our hike, she didn’t have any back pain at all. She remarked several times how much more NATURAL it felt for her as a woman to have the weight in front of her as well. She was very happy with how the RIBZ Front Pack made her feel. 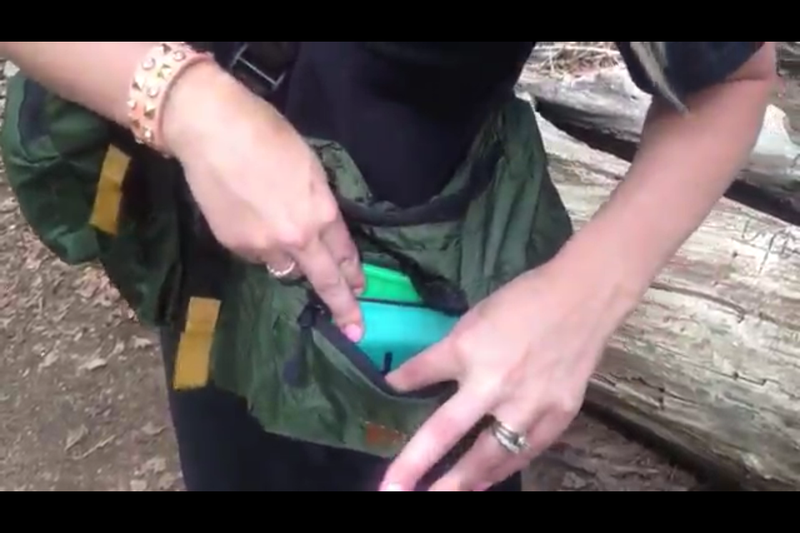 The RIBZ Pack is incredibly roomy with lots of pockets to store your gear. I was able to fit everything from my normal day pack into the RIBZ Front Pack! The two front pockets are perfect for your smaller and more frequently used items. Behind, there are two bigger pockets for your larger less used items. The large compartments are further divided by mesh pockets to keep everything organized and separated. The RIBZ Front Pack is made from durable Cordura Brand fabric so you won’t have to worry about split seams, tears, or this thing wearing out any time soon. And the heavy-duty zipper in the front makes taking the pack on and off very easy and smooth. So there you have it. The RIBZ Front Pack is definitely an integral part in our family adventures now. The only problem is deciding who’s turn it is to wear it! Disclosure of Material Connection: I received the RIBZ Front Pack for free from RIBZ as coordinated by Deep Creek Public Relations.